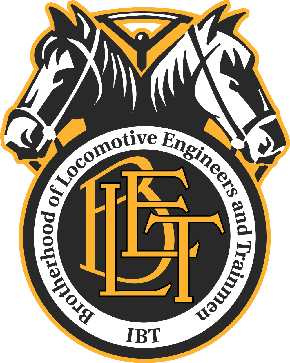 INDEPENDENCE, Ohio, November 11 — Veterans Day is a particularly important holiday to the membership of the Brotherhood of Locomotive Engineers and Trainmen. Our Brotherhood was founded on May 8, 1863, and many of our earliest members were veterans of the Civil War. Since that time, our Organization has proudly represented members who served in World War I, World War II, Korea, Vietnam, Desert Storm, Desert Shield, Iraq and Afghanistan — and today includes 55 members who are currently on active duty. These Brothers and Sisters proudly carry on the traditions established by our founding fathers. Many people confuse Memorial Day and Veterans Day. Memorial Day is a day for remembering and honoring military personnel who died in the service of their country, particularly those who died in battle or as a result of wounds sustained in battle. While those who died are also remembered on Veterans Day, Veterans Day is the day set aside to thank and honor all those who served honorably in the military — in wartime or peacetime. In fact, Veterans Day is largely intended to thank living veterans for their service, to acknowledge that their contributions to our national security are appreciated, and to underscore the fact that all those who served — not only those who died — have sacrificed and done their duty. On behalf of the entire Brotherhood of Locomotive Engineers and Trainmen, I salute the millions of veterans and active-duty soldiers. You are the protectors of the greatest nation on earth, and your sacrifices and devotion have preserved our way of life and our freedoms for generations. I ask all BLET members to join me in thanking veterans — and their families — on this Veterans Day.